So what did you discover on the Camino? What did you see? How far did you walk? These were the most frequent questions we heard, once we returned to the States. We walked 275 miles, we discovered the importance of gratitude, listening, everyday conversation, prayer, walking (a lot), physical limits, spiritual journeys and more. What did I see? That one is even tougher. 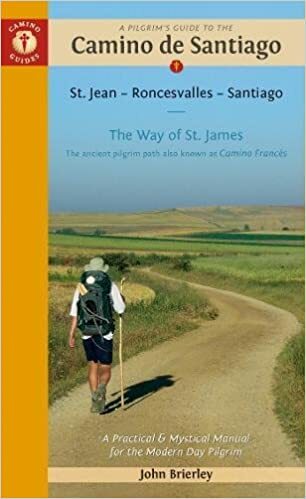 All of the guides for the Camino, even the one we had by John Brierley, has a series of iconic pictures of the backside of pilgrims On the Camino. I, too, found myself looking at the backsides of pilgrims most of every day. Sometimes I was in the front, sometimes the back of our group; however, there were other groups who walked at faster and slower paces that we did. Plus they started at different times of the day and were on different rhythms than our group. Even if I ended up in the front of our group, there would likely be another group whom I would follow and see from behind. Our group consisted of Mary Klaff, Lindsey Klaff, Tracy Hooper and Henry Hooper (me). Here is a front picture for the record. The views, even from behind are spectacular. It became a daily obsession to see if I could capture the essence of the day with a view of the Camino, with all of its surprises, twists, and turns, in one image. Needless to say, none of the pictures do it justice, but they seem to approach making the paths understandable. The day was hot, the sun was shining, the road was dusty, and the peregrinos, with the scallop shell on their backpacks, were always in sight. The following images chronicle in three slideshows the trip we took from St. Jean Pied de Port, France, to Leon, Spain. Mary and Lindsey completed the entire Camino de Santiago, Tracy and I ended just outside Leon in a small town with a long name, Calzadilla de los Hermanillos. So for the path we chose, we crossed the half-way point in the Camino to Santiago. A few of the pictures are from the front instead of the rear of a pilgrim or townsperson, but that is a detail. And, yes, we will return to finish the other 225 miles someday soon. Another truth is that it is possible to take your time and make the Camino personal. I kept an active bird list (positively identifying 62 different species). None of my cohort pilgrims wanted to stop as long as I did, open the bird book, and determine the exact species we had seen for about 10 seconds, from a Spanish bird book, which was hard to decipher. That said, they put up with me, whether I was in the middle, back or front of the group. It is nice that most of the trails were roads, so that we could walk at least two abreast, and assuming we were not run over by bikers, pass those who were stopped to watch for birds, rest, or otherwise engage with the beauty of rural northern Spain. It is hard to know where to stop, so this collection includes some very memorable people whom we will never forget, like Christian, Sara, Don & Paula, Tom, Olivier, Michael & Miguel, Charles, Marie Claude, as well as others whose names have already slipped into the ether. Please enjoy these fun images that capture the Camino for awhile, as ethereal as that effort has proven to be. You and Tracy were able to accomplish what you set out to do! Mary and Lindsey went all the way! That trip sounds like a difficult one, but at the same time it sounds amazing. I love the photos of you all and what you saw! Thank you, Charlie, for your interest in our trip on the Camino and for sending us your compliments. Tracy, Mary, Lindsey and I will never forget our trip.